Toeroek subject matter experts (SMEs) in hydrogeology, engineering, chemistry, risk assessment, and other specialty disciplines provide technical reviews of a broad range of deliverables associated with RCRA corrective actions and CERCLA remedial and removal actions at a broad range of facility types across the country that are at different stages in the RCRA or CERCLA process. Technical documents reviewed include work plans and reports for complex studies, interim measure evaluations, pilot and treatability study reviews, conceptual corrective measure design evaluations, and long-term monitoring reports. We also review facilities for regulatory history and assist with the recommended path forward, including development and refinement of the CSM. Field oversight is also provided for compliance of work implemented in accordance with the final versions of the documents reviewed. Toeroek prepared and presented a full-day course designed to assist Region 5 RCRA corrective action staff in planning for and implementing corrective action activities. 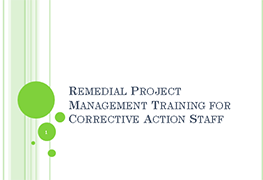 The course provided an overview of the corrective action process and detailed discussions of (1) developing a conceptual site model (CSM) and its ongoing role throughout the characterization and remediation phases; and (2) RFI process, including planning activities, implementation issues, and the development, review, and approval of project plans, such as the QAPP. Innovations and new developments related to the CSM and RFI processes were also presented, including the Triad Approach for field sampling activities; high-resolution site characterization for sources and groundwater; 3‑Dimensional Visualization of data; vapor intrusion pathway; and green remediation. The course included a discussion of Remedial Action Objectives (RAOs) and remedy selection and implementation. The course used lecture, site examples, and facilitated discussion as the primary instructional methods. Toeroek successfully performed more than 20 EPCRA/CERCLA/CAA 112(r) inspections for EPA Region 9, often on short notice. We improved the quality of checklists and summaries of information for evaluating compliance findings and supporting inspection potential enforcement action items. We developed standard operating procedures (SOPs) covering all inspection-related activities, including the facility selection process, pre-inspection activities, onsite inspection, post-inspection activities, and quality assurance specifically developed for EPA Region 9 inspectors. Iowa is the only state without RCRA enforcement authority, so Toeroek performs CEIs on behalf of EPA Region 7 at large quantity generator (LQG), small quantity generator (SQG), and conditionally exempt SQG facilities across Iowa. 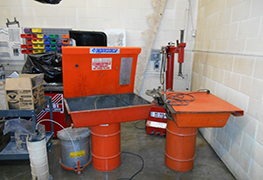 We have performed 60 CEIs as well as 40 Compliance Assistance Visits (CAVs) at high schools to help identify potential compliance issues, such as management of used oil and universal waste. We draw on our experience drafting and reviewing RCRA permits and use checklists to provide thorough and comprehensive reviews and issue a notice of preliminary findings to the facility, which is then reviewed and modified as necessary by the EPA inspector responsible for the facility. Documentation includes completed checklists and logbook notes, photographic logs, and information obtained from the facilities (protected as confidential business information (CBI) as necessary) as well as RCRA Information Database printouts and Inspection Conclusion Data Sheets. Toeroek performs OMIs and CMEs on behalf of EPA Region 7 at three facilities across Iowa. We draw on our experience developing groundwater monitoring networks, preparing work plans, performing groundwater sampling to provide thorough and comprehensive reviews of facility groundwater monitoring procedures, field sampling compliance, and overall groundwater monitoring approach and performance to ensure that the system is adequately designed, operated, and maintained to detect and track migration of releases. Documentation includes completed checklists and logbook notes, photographic logs, and information obtained from the facilities (protected as confidential business information (CBI) as necessary) as well as RCRA Information Database printouts and Inspection Conclusion Data Sheets. 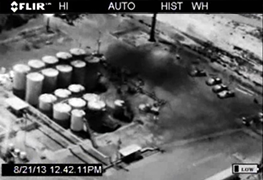 Toeroek and its subcontractor, Leak Surveys, Inc., surveyed thousands of square miles to remotely survey hydrocarbon emission sources using an optical gas imaging camera consisting of a passive IR mid-wave camera with GPS overlay. 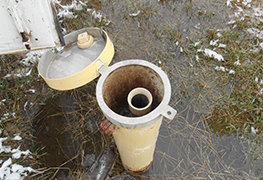 Over 12,000 tanks and associated piping and facilities were surveyed identifying over 500 potential emission sources. Documentation, including a still photograph, IR video, field logbook notes, and the GPS coordinates, was collected and summarized on a daily basis and compiled in final summary reports. 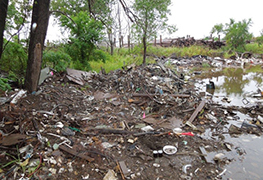 Toeroek provided technical and editorial review of draft EPA responses to public comments for a modification to a RCRA Subtitle D permit for two new chemical waste cells, which also would receive PCB remediation waste requiring TSCA authorization. We developed an Access database with a cross reference system for flexibility in later customization and tracking as well as with a hyperlink system for source comments and reference documents. Approximately 550 comments from 300 sources, including letters, emails, and public hearings were loaded into the database, assigned to one of 11 response categories, and reviewed for technical foundation and accuracy, linked to supporting reference material, and edited to make it readable to the lay-person while maintaining the technical merit of the response. 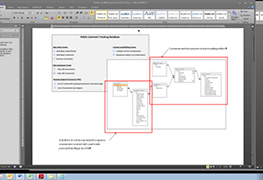 The database was made to be intuitive, user‑friendly, easily queried, and exportable to Excel. 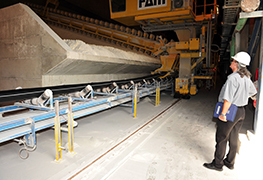 Toeroek and its subcontractor perform independent cost estimates based on closure plan requirements and reasonable worst-case scenarios using RACER software to independently and objectively evaluate facility cost estimates supporting financial assurance requirements. We also have legal staff who review financial assurance documents, such as trust agreements and surety bonds, for regulatory compliance in concert with the cost estimate verification. 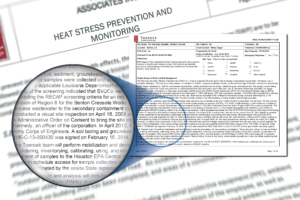 We use a step-wise approach working with our client to review closure plan requirements. First, we ensure that the closure approach and requirements are adequate. 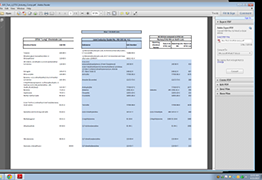 Second, we move into development of cost estimating assumptions for various scenarios, such as those for the closure plan requirements and alternate assumptions for a reasonable worst-case scenario. Finally, we develop the cost estimates interactively working with the client as issues are identified so that changes to the first iteration and the effort for client review are minimized. The Toeroek team has performed several sustainable materials management (SMM) and associated community-based social marketing (CBSM) projects, including an SMM Food Donation project for the Lower Greenville neighborhood in Dallas, SMM for a tribal college and casinos, an evaluation of food waste alternatives to landfilling, environmentally preferable purchasing for climate protection, SMM in rural Alaska, and support to EPA’s Food: Too Good To Waste. 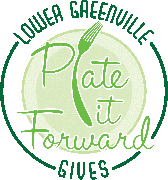 The Lower Greenville Food Donation project, or “Plate It Forward,” started by visiting restaurants and food donation charities to find community members willing to support EPA’s effort to marry food donations from restaurants to minimize “waste” food with community charities that can put the food to good use. This also meant finding a means to bring the waste food from the restaurant to the charity. We developed the program, identified community participants, and enlisted restaurants and charities so that the community participants could then carry out the objectives and sustain the program as a community effort. We developed an advertising campaign using CBSM principals to implement the program, including designing a logo, designing stickers for restaurant windows, designing a magnetic truck banner for the collection vehicle, creating brochures and handouts, and leveraging social media, which also included creation of a short video for a Facebook page. Fact sheets were prepared under several of these projects, such as evaluating increased recycling efforts and conversion to LED and other energy efficient lighting to save 199 metric tons of carbon dioxide equivalents, which is equivalent to removing 42 cars from the road for a year. 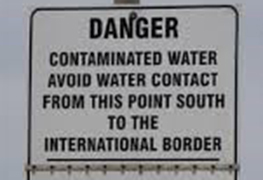 The Toeroek team has conducted reviews of 22 facilities to assess the EI CA725 “Current Human Exposures Under Control” (12), EI CA750 “Migration of Contaminated Groundwater Under Control” (12), and EI CA550 “Remediation Construction Complete” (19). We provide our clients a tabular update of progress as we develop the findings and present issues for interactive resolution as part of our agile project management approach. We then complete the EI evaluation forms for review and input by project managers to ensure that all information is captured and accurately reflected to prepare the final version. We prepare a triage summary report at the end of each EI reporting task as a kind of scorecard to track each facility and its EI status. The Toeroek team identified commercial products with certain chemicals and evaluated the exposure risks and potential alternative products without those chemicals. We researched and developed chemical and risk profiles for cyclotetrasiloxane (D4) in shampoo and methylene chloride in paint strippers; we also collected reliable market, sales, use, and manufacturing information for spray polyurethane foam insulation with di-isocyanates, hair straighteners with formaldehyde, and chlorinated tris (1,3-dichloro-2-propyl phosphate) [TDCPP]) in fire retardant foam used in several products for children (e.g., infant bedding, cribs, strollers, car seats). These products were evaluated for workers and consumer exposure risks, environmental considerations associated with the chemical life cycle impacts, and an assessment of environmentally preferable alternatives, such as other products that perform similarly with less exposure risks. We also evaluated industry lists of banned chemicals and methods as well as regulatory lists developing a comprehensive summary, communication tools, and presentation materials.